Please enter your email below and we will notify you whenever this product is on sale. 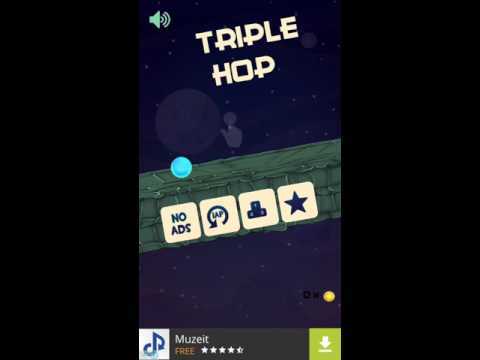 Treble Jump is a very interesting game, in which you have to jump as much as three times to avoid colliding with obstacles. Number of downloads for this games has crossed 1500 in one week or so, and numbers are counting.The premise of the game is simple: the game spawns obstacles after a constant interval of time and the player which is a ball, has to jump those obstacles to survive and collect coins. Score is updated on every successful jump. Features such as InApp purchases, Facebook and twitter sharing, chartboost along with others give this game template an edge over other templates. Another plus point of the game is that, it can be reskin very easily, Everyone who has a little knowledge of programming can reskin it with ease. You can download the documentation which is provided with the project. We've already made a tutorial for one of our template i.e. Runner Kit. This might be helpful for you. Got questions about the product? Ask it from the product owner. Touch Different Colour ---- Buy within next week and enjoy free reskin(and publishing on Play store only). Game Gorillaz name and logo is registered trademark of Miracle Studios Pvt Ltd.